1. The Shift Point Package will service governors in the 700-R4, 400, 350, 350C, 250 and 250C. 2. The kit includes 6 weights and 6 springs to offer a wide range of adjustments. 3. 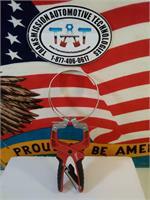 This kit includes new weight pins with E-clip ends for easy adjustment. 4. 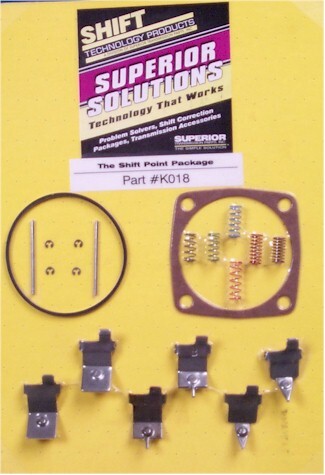 This package is a great help when dealing with rear end ratio changes and performance applications.